You Are Here: Home > Why Settle For A Camry, or Accord? Why Settle For A Camry, or Accord? Considering buying a new sedan? Wouldn’t it be nice to drive one with more power and luxury features instead of settling for the usual? Now you can! We’ve compiled the top 5 reasons you should consider getting a 2018 Jaguar XE over a Camry or Accord. You may be pleasantly surprised to learn that driving luxury is more affordable than you think! When you think of Jaguar you may think of the legendary prestige and performance of more than 60 years of British luxury. So, it’s only natural to think that, economically speaking, a manufacturer like Toyota or Honda may be a better option, if you have a starting budget around $35,000. But that’s not necessarily true! The 2018 XE’s premium interior puts Jaguar’s racing heritage and timeless elegance on full display by seamlessly incorporating supple leathers, innovative tech and more! No matter how high up in trim levels you go, sedans like the 2018 Toyota Camry and Honda Accord simply can’t compare! A sedan that delivers on luxury and performance? Yes, it’s possible! The 2018 Jaguar XE delivers the performance and handling you didn’t even know you were missing. The XE’s 3.0-liter Supercharged V6 delivers an impressive 380 HP, taking you from 0 to 60 in just 4.9 seconds, leaving the Camry (301hp) and Accord (252hp) in the dust — even at their highest trim levels. The new 2018 Jaguar XE is not only powerful, it’s also safe. Designed with a host of state-of-the-art safety features that are always available at your fingertips, when you need them most. Other manufacturers simply can’t compare! Jaguar EliteCare offers Best In Class Coverage on new models! That means your new Jaguar is covered for up to 5 years or 60,000 miles. This coverage also includes roadside assistance. Need another reason? 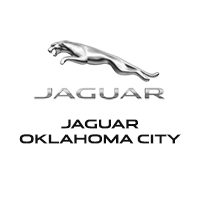 Visit Jaguar Oklahoma City today and experience everything the new 2018 Jaguar XE has to offer. You can test drive all the different trims to find the perfect one for you.